In order to connect to RamNet-Guest you will need a cell phone. 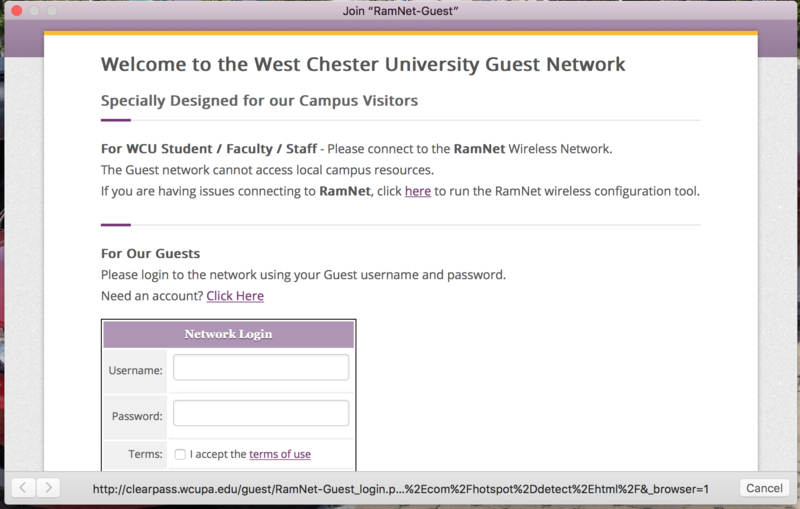 Choose "RamNet-Guest" from the list of available networks. Click the link after "Need an account?" Click the "I Accept" box and then the "Register" button. Within a few minutes you should receive a text message containing your RamNet-Guest password. 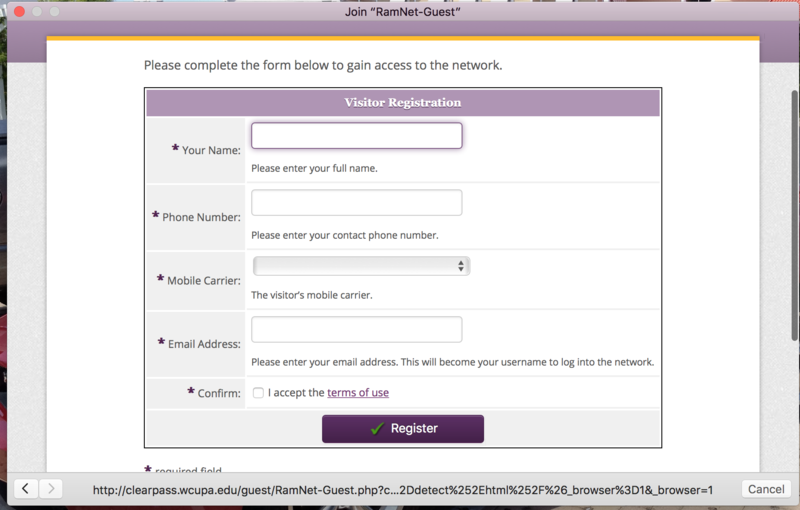 Use this password and the email address you provided earlier to log into RamNet-Guest. Your RamNet-Guest login will be good for 24 hours.